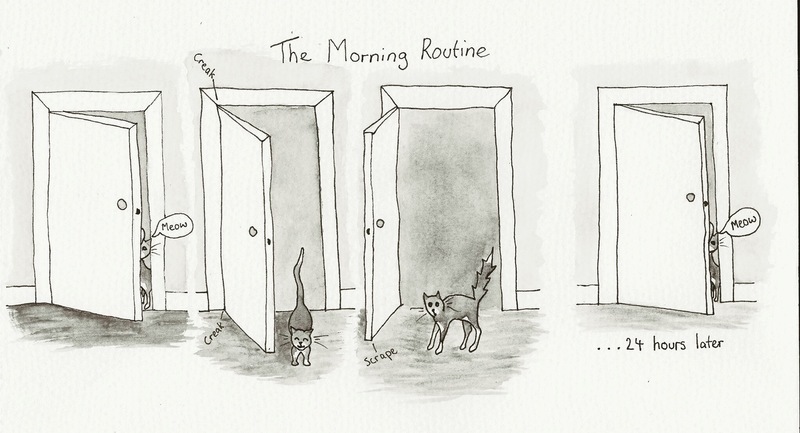 Does you cat have it’s own ‘morning routine’? I love the cat comics which pop up in facebook, so decided to try and make my own. Hand drawn with fine liner and watercolour paint.